There’s much more to California than Daisy Dukes with bikinis on top. Rich in hidden-gem vintage boutiques and restaurants overlooking the coastal bluffs of southern California, the seaside resort community of La Jolla – nicknamed “the jewel of San Diego,” retreats in my rear view mirror as I leave the über-chic village and its sandy beaches behind. Along the way, road signs beckon me to L.A. but I coast east of the Pacific Ocean to the upscale beach town of Del Mar, where celebrity treatment awaits. 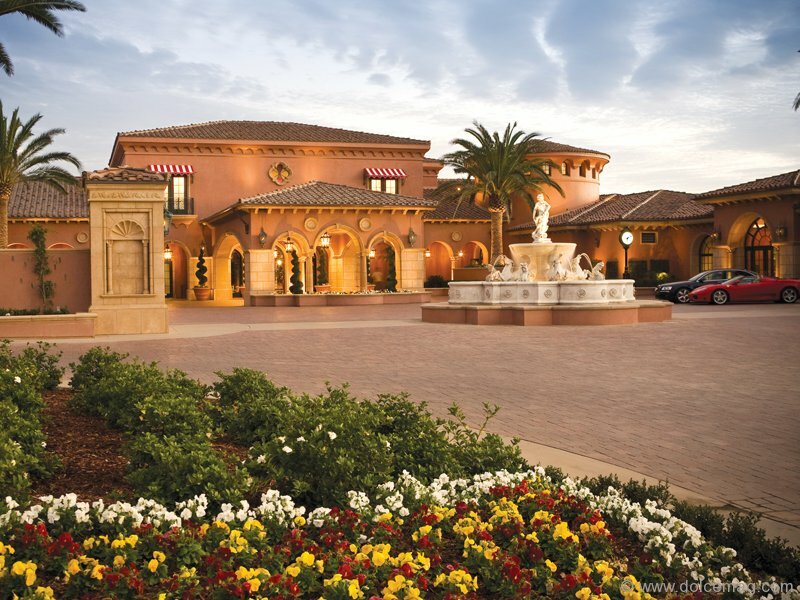 When The Grand del Mar luxury resort enters my line of vision, I catch my breath and steady the brake. Inching my way past a Roman fountain, a circular thoroughfare guides me to a sprawling estate with a rose-coloured exterior fitted with Medieval and Renaissance-style doorways and columns. 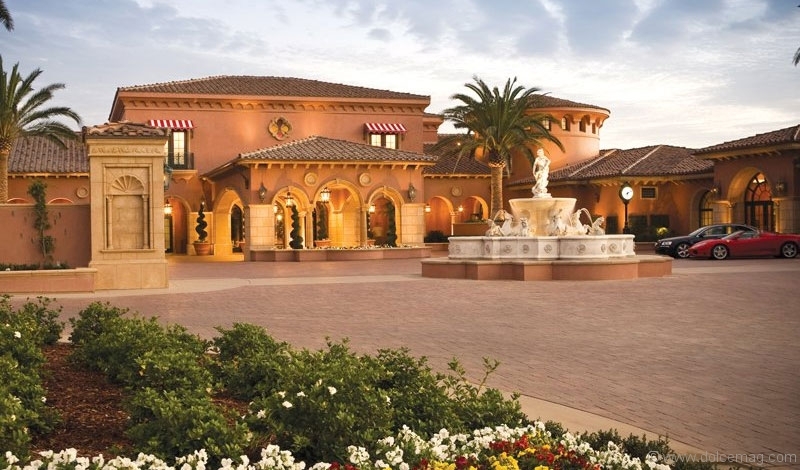 Just a 30-minute drive from the eclectic core of downtown San Diego, the surface of the award-winning The Grand Del Mar features a rich palette of hand-painted gold, deep rose, terracotta, blues and greens that accentuate a resort that treats perfection seriously. A friendly bellhop and professional valet whisk away my belongings as I approach a gleaming lobby with the sight and scent of fresh flowers. Bustling with couples and young families sipping on tea and nibbling on amuse-bouches, a sparkling marble foyer carries me to what heaven is all about: the Palazzo Suite. While I settle into the 1,500 sq.ft. apartment, Bach spills throughout the living space, which includes a kitchenette stocked with champagne and Voss water, a dining room for eight and a living room warmed by a fireplace. Two master bathrooms feature gold-covered showerheads and monogrammed drains, plasma TVs, Acca Kappa products and Kohler plumbing. While I try to process the subdued decadence of my stay, I call the concierge for my misplaced BlackBerry. Moments later, the concierge reassures me that a bellhop would arrive with it shortly. No sooner have I replaced the receiver when the bellhop appears at my door. 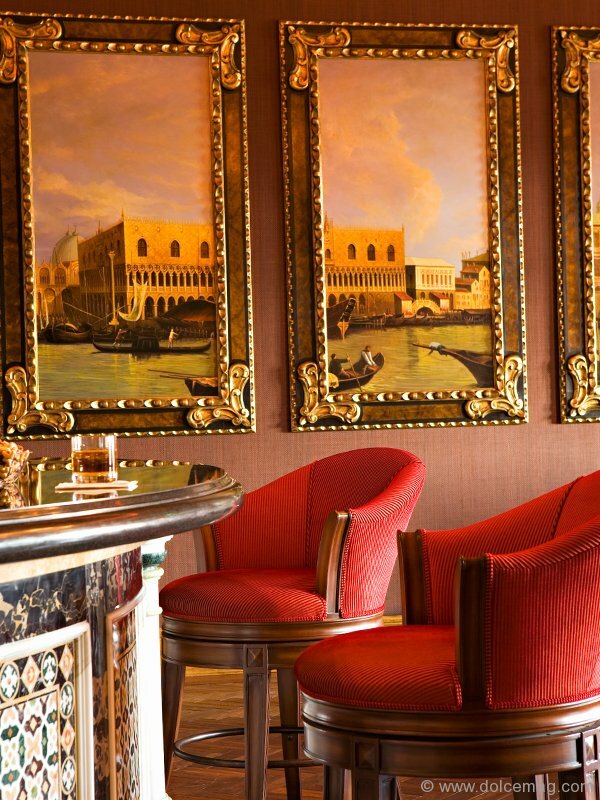 Simply and inexplicably, the Grand Del Mar embodies the true essence of architectural beauty and first-class service. “No detail is spared,” explains Brian Gipson, the corporate director of marketing, as he leads me throughout vast passageways brimming with Moroccan and Italian ironwork and Portuguese tiles, hand-stenciled ceilings and replicas of renowned artwork. With its postcard appearance, the high expectations I had before my arrival are replaced with awe-inspiring, timeless beauty and sophistication that you must experience to imagine. “We’re destined to be a legend,” says Gipson. 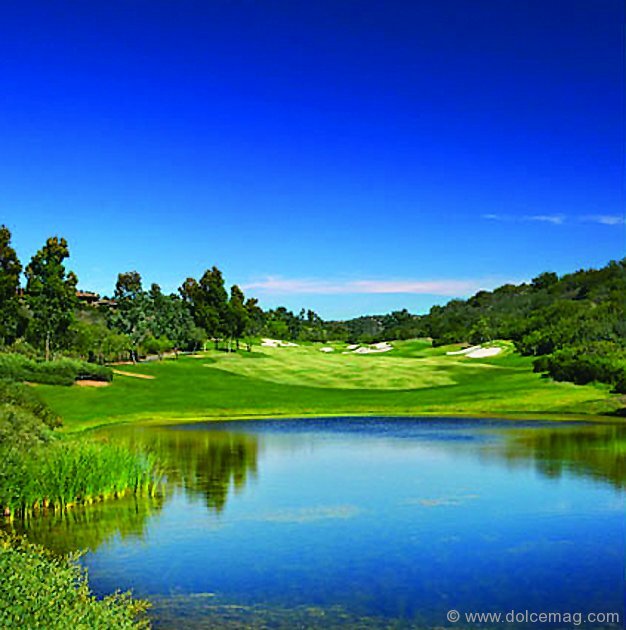 Further spoiling and pampering guests is an 18-hole, 380-plus-acre Tom Fazio-designed championship golf course, two professional-grade tennis courts with expert instructors and soothing treatments at The Spa. Underground music permeates four expansive pools staffed by butlers, and fine dining is crafted with fresh produce and flavours from a herb garden. Guests can choose to be chauffeured in a Cadillac Escalade SUV to Addison, a white glove dining experience simmering in contemporary French influences. Covering 24 acres of impeccably manicured lawns, The Grand Del Mar is a special sort of place that illuminates the opulence of a Spanish manor, the romance of a Mediterranean palace and the flair of a coastal getaway à la Français. Honouring the creative vision of famed architect Addison Mizner, The Grand Del Mar is a southern Californian masterpiece.